Dr. Gonzalez was born and raised in Florida. 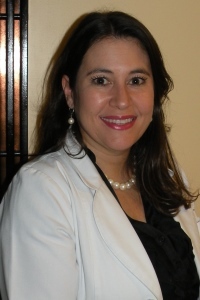 She received her Bachelor’s degree from the University of Miami in 1997 and her Doctorate of Dental Medicine degree from the University of Florida – College of Dentistry in 2001. She has dedicated her professional life to providing her patients with outstanding dental care. Dr. Gonzalez’s commitment to excellence includes participation in numerous hours of continuing dental education courses around the country related to dental implants, cutting edge technology and advanced dental techniques. Her interdisciplinary approach allows her to encompass all aspects of General, Cosmetic and Implant Dentistry in order to provide her patients with the most advanced and comprehensive treatment options. Dr. Jockovich was born in Colombia. He received his Doctorate of Dental Surgery degree from the State University of New York at Buffalo. 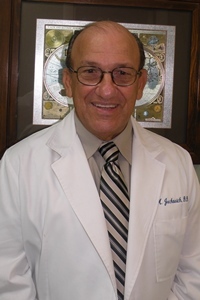 Dr. Jockovich has been a longtime dentist in the Kendall community. Originally opening the doors to this office in 1978. Dr. Jockovich has treated all his patients like family, providing a comfortable and caring environment has led to generations of families coming to this office for many decades. He is a Fellow of the Academy of General Dentistry and has completed extensive training at the prestigious L.D. Pankey Institute.